Zapp's International Beer Festival 2012! Hey everyone, just a heads up that the date is soon approaching for the 2012 Zapp's International Beer Festival! It'll be on Saturday, March 24th starting at 3:30 PM. Tickets are limited to 1,500 total (and trust me, this is a good thing, the crowds might be unbearable otherwise) so reserve a spot soon. 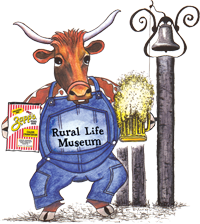 It'll be at the Rural Life Museum (on Essen by I-10) like always, but the best reason to show up this year? I'll be there serving up some homebrew with the Brasseurs A La Maison. We expect to have around 30 beers on tap as a club and I can promise you that the homebrews are usually the most interesting beers at these festivals, and the first to go. So get there early, find the Brasseurs A La Maison tent, and try some home brews! Then check out all the rest. Many thanks to Dan for giving me a couple of these! The good news is that I got the hook up, the bad news is that it's because he didn't really like it. That's alright though, different styles for different folks, and Dan is quite the hophead, so a "Biere De Garde" might not be up his alley at all. The "Biere De Garde" is a French-Belgian style of beer, typically malt-heavy with a noble hop flavor flavor and lighter color. The average alcohol range for these is 6% to 8% but this offering from Bayou Teche Brewing comes in at a lower 5%. That probably makes it a better beer for Mardi Gras in South Louisiana even if it's not expected for the style. Poured into a Chimay goblet, it's a golden orange color with minimal head. Not much retention or lacing at all on this beer. The aroma is biscuity, malty with a little funk to it. I don't pick up any real hop presence. The taste is more of the same, except it gets a little bitter hop note at the end of the sip. That adds a nice dimension that was missing on the nose. Really easy to drink, it's a little thin and the bitterness lingers on the finish. It's enjoyable but I won't be rushing out for another. Maybe it's just the style, but just an average beer to me. Not too long ago I received an e-mail from Newcastle's marketing team over here in the USA about trying and reviewing their latest beer, the Newcastle Founder's Ale. And do you really think I'm going to turn down the opportunity to try the beer and write about it? Hell no. So, not too long after that I had a couple of bottles of beer waiting for me when I got home, and a few days later it was time to break out this Founder's Ale and see what it's all about. Newcastle is pretty much synonymous with their famous brown ale, which has its origins way back in 1927 in the city of Newcastle upon Tyne. In 1960 the brand merged with Scottich Ales, and was eventually bought out by Heineken International. Currently the famous "Newcastle" brand is brewed in Edinburgh, Scotland as opposed to Newcastle, and is quite popular here in the United States. This beer is one of their recent attempts to diversify the brand, starting with their Summer Ale, then the Werewolf (a fall beer), a Winter IPA, and now their Founder's Ale, which is labeled as an English Pale Ale. The beer pours a dark orange color, filtered with a sizable head. Not a bad looking brew at all. The first I noticed on the aroma is a strong malt flavor... toffee and biscuity. The hops are pretty well muted and don't expect the same kind of hop profile from an American Pale Ale. You're not going to get that in the English version of the style. The flavor is yeasty, with caramel notes and a slight hop flavor that lends more sweetness than bitterness. It's nothing revolutionary or amazing, but this is definitely an easy drinker. It's well blended and a beer that I could definitely see throwing back if it made it our way on tap. Pitchers would go quite well with some bar food and football, the alcohol content is a tame 4.8% but the flavor is definitely still there. 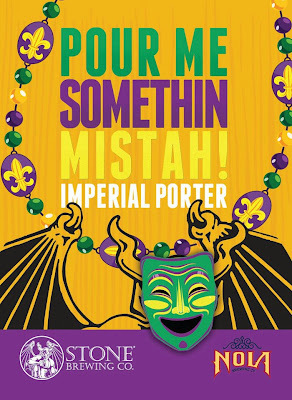 Review: NOLA / Stone Pour Me Somethin' Mistah! 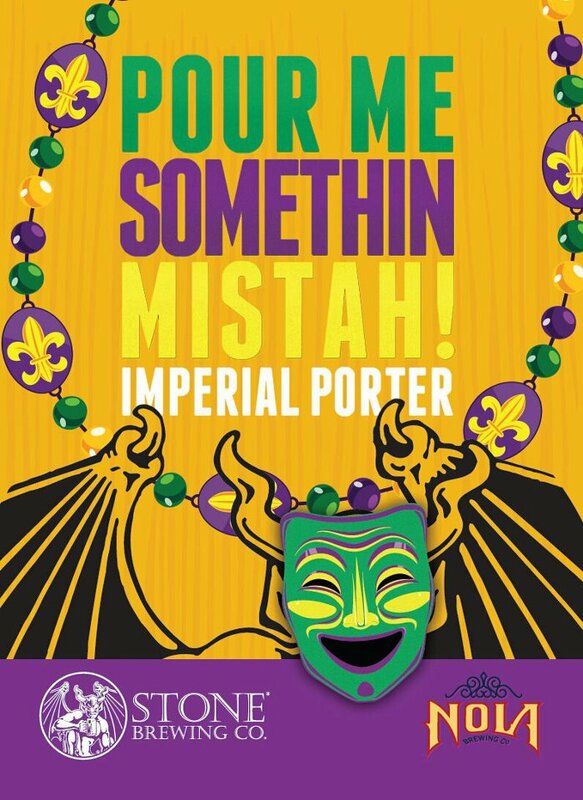 Alright, finally the big day had arrived... not that I was turning a whopping 32, but the release of the NOLA Brewing / Stone Brewing collaboration beer, Pour Me Somethin' Mistah. Appropriate for any big New Orleans beer release, the party was taking place at Avenue Pub, my New Orleans beer bar of choice. The release was announced back in mid January, so it had a month of hype building up to it. After a quick early lunch at Cochon Butcher (delicious) it was over to the pub to wait for 1 PM to hit and the beers to start pouring. While waiting, the balcony bar had a few tasty warm-up brews, so it was the right time to check out the Saint Arnold Bitter Belgian, a very nice Belgian take on their Elissa IPA. Not a bad beer and a great way to get the day started. I followed that up with the NOLA 7th Street Wheat with grains of paradise and orange peel on cask and then it was time for the showpiece beer, the Pour Me Somethin Mistah. The first hint at the beer came from The Beer Buddha, who brought one out and immediately made a face like it wasn't rocking his world. Uh oh... not a good start. Dan brought one out for me, and my first taste was the same reaction. It was still really cold, and tasted like an over-hopped porter, out of balance and not as rich and complex as I was hoping. Damn. Fortunately, I still had some cask 7th Street Wheat so I finished that while letting the Pour Me Somethin Mistah warm up a bit. Pour Me Somethin' Mistah, and 7th Street Wheat on cask. Letting the beer warm was a great decision, as it really opened up and turned into quite the drinkable porter closer to room temperature. The orange peel and molasses started come out in the flavor and the hops took more of a back seat to those flavors. What started off disappointing finished a very nice brew. For those in Baton Rouge, The Cove will have this one on tap in their front bar on Wednesday... just be sure to request a room temperature glass and take the time to let it warm up to unleash the full range of flavors. My rating: B for this one. Hey everyone, in case you haven't seen them yet, Abita beer in cans should be out or on the way to a store near you! 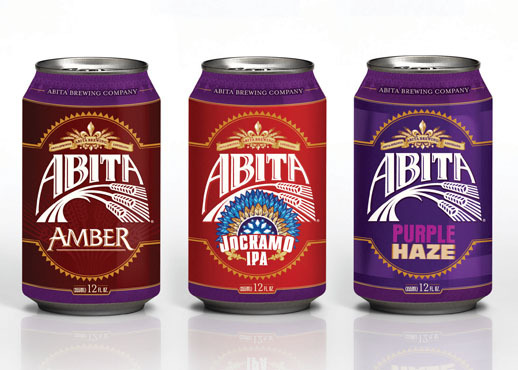 (New Orleans) The Abita Brewing Company is pleased to announce the debut of three of its flagship brews in cans: Amber, Purple Haze® and Jockamo I.P.A.® The Abita cans will appear in stores, restaurants and bars in the New Orleans area Monday, February 6 and with wider distribution across the region and the nation to follow. I've already heard word of them at Calandro's, Whole Foods and Albertson's in Baton Rouge already, so if you feel like checking out some canned Abita, there's a good start! Abita joins NOLA and Tin Roof in the canned Louisiana craft beer market, although NOLA and Tin Roof each only can one of their offerings each. Southern Star is another canned craft beer out of Conroe, TX that we get here in Baton Rouge. Obviously cans have their place wherever glass is forbidden like the beach, canoeing, and Mardi Gras. In fact, the Abita cans are here just in time for Mardi Gras! For my money though, I'd rather grab some NOLA and Tin Roof. Hey everyone, for those who missed it, my 2012 goal was to walk at least a mile per drink consumed. You can read all about the rules here, but I wanted to take a quick look at how January went. So what does this tell me? I think the most eye-opening bit is the two lowest days, of 1.58 and 1.63 miles. Both of these days were weekdays where I spent most of the work day sitting at my computer, then headed home and had things to do where I didn't get a chance to go walking at all. A simple walk around the block with Abbey could have added about a mile to those totals. Unfortunately I think this is what a lot of my days looked like in 2011. The good news is that it's really easy to take that under 2 miles per day and turn it into an average of slightly over 4. The highest mileage was a day where I walked Abbey in the morning, then walked the full LSU lakes with Mandi, and walked Abbey a short ways again after the BCS championship game (BOO!!) that night. I didn't quite get to 10, but still, 9.41 miles is a good bit. The two highest drinking days were Saturdays spent going out. The first one was Avenue Pub for their Swedish beer tasting, followed by a few drinks at Mama Ford's birthday party. The only reason this day wasn't higher was that Avenue Pub was only pouring half-pours of all the Swedish beers and they were almost all below 7% abv. The second 9.5 drink day was a Saturday in Houston where Mandi and I went to the Karbach Brewery then to the Petrol Station for some more beers. Both of those places serve a lot of high alcohol beers so even though I tried less beers they counted for more drinks. What's the plan for February and beyond? Basically more of the same... walk more and drink less. As long as I can keep those miles above the drinks I'll be doing just fine.